The Legend of Zelda (TLOZ): Breath of the Wild is the latest entry in the popular action adventure video game series, The Legend of Zelda, from Nintendo. TLOZ: Breath of the Wild is now available for the Nintendo Wii U and Nintendo Switch. Breath of the Wild features the biggest map ever seen in TLOZ game series, which can intimidate players. Link must travel through unexplored territories to expand the territory shown on the map, but this expedition is not enough for the game to automatically mark relevant points of interest and events. To solve the issue, whenever you encounter something important, make manual markings using stamps and icons. To do so, open the map screen by pressing "-" on the control, then press "A" to access your Stamps collection. Select the symbol you want to use, and then confirm your choice by pressing "A" again. At the beginning of the game you will have little money and items, so every Rupee matters. Since the best weapons and armor are only unlocked after dozens of hours of play, so it's a good idea to use a long range combat approach in the beginning. Link bow arrows are extremely limited, but there is a good way to stock them effortlessly. When you encounter an enemy who also shoots arrows, you can run from side to side without stopping, causing him to miss the shots. So his arrows will remain on the ground, and you can pick them up. There are hundreds of items that can be collected throughout the journey, from chunks of equipment to vegetables to rewards to hunting that can serve as ingredients. As you progress through the campaign, your inventory will soon be full. How can you increase the limited inventory space in the Breath of the Wild? To obtain more inventory space you need to pause the game and in the inventory click the weapons and items that damage or will not be used in the near future. Then choose the "Discard" option to remove them. There are hundreds of Shrines dotted around the map. In addition to hiding puzzles and challenges, these locations are very important to Link's progression, as they improve his health and stamina. 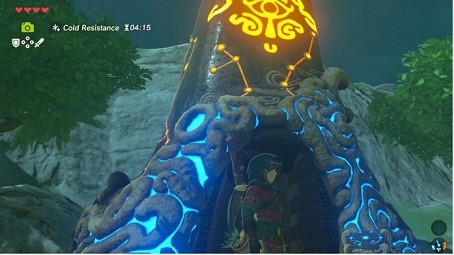 Whenever you find a Shrine, like the one in the image below, enter it even if you don’t want to solve puzzles and collect rewards, as soon as Link leaves the place it will be enabling as a fast travel point. 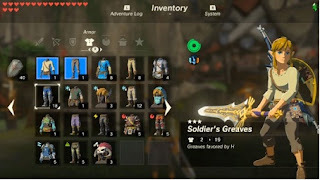 For the first time in the Zelda series, the weapons that Link finds along the way will not necessarily be equipped throughout the game. The more they are used, the greater will be their wear, to the point where they are broken. When the gun is about to break, a warning will appear on the screen. At this point, it is a good idea to think of throwing your weapon at enemies, as this move does much more damage than ordinary body attacks. Guardians, the giant creatures with tentacles, are the main enemies of the game. Finding them usually means tough battles for survival. In these situations, explore the creature's carcass, as often the fallen Guardians will hide good and valuable loot far better than those dropped by ordinary enemies. As in the best modern RPGs, Breath of the Wild has an incredible variety of parallel quests. It's no use just to wander around the world. To access the these quests, you need to talk to the other characters. The best alternative is to explore the various stables scattered around the map, because there you can organize your horse collection, and find several characters to talk to. Interact with them whenever possible, as they give hints, point out new paths, and enable parallel quests.